Lake Nona is a growing area in Central Florida. Thriving residential areas surrounding the new “Medical City” that includes the new University of Central Florida School of Medicine make Lake Nona one of the brightest gems around Orlando. With such a new town feel, there is more incentive for having a beautiful home with a great yard. That’s where we come in. 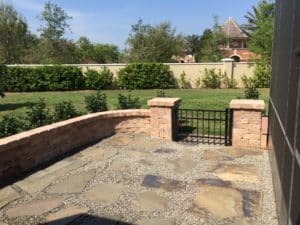 When it comes to getting the best hardscape design in Lake Nona, you don’t go wrong with Ground Source. We take the hassle out of trying to do it yourself and we give you the results you want and, often, better results. Your Lake Nona hardscape design is in good hands with Ground Source. We have a professional team that will work with you every step of the way. We are fully licensed and insured, and we absorb all liability if the unfortunate event happens on your property. In the end, you will get the landscape design for your Lake Nona home that you want. Call Ground Source at (407) 378-5366 to schedule your consultation with your landscape designer and create the beautiful yard you’ve always wanted. And don’t forget to ask about our sod removal and installation and irrigation installation.